Happy Friday (raise your hand if you’re excited that it’s finally the weekend!). Today I’m back with another Disney Restaurant Review (I have so much fun with these posts)! 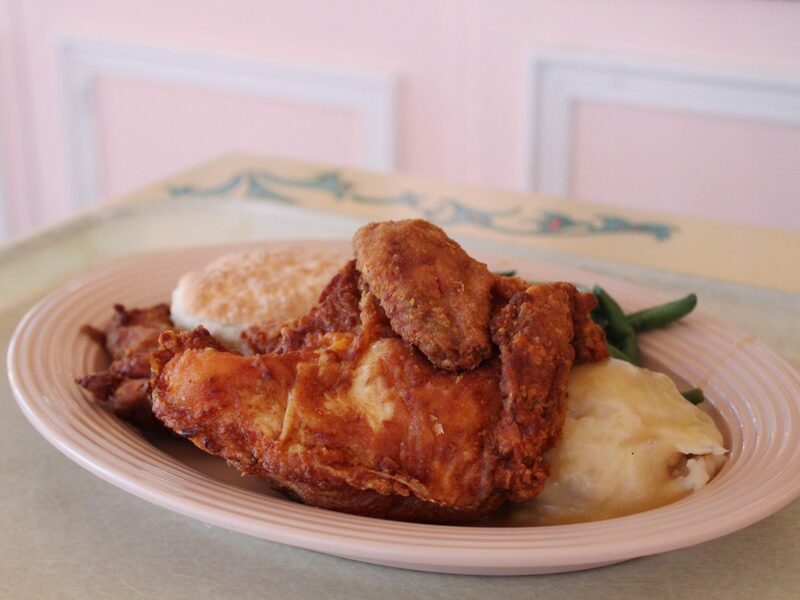 Since I’m heading to Disneyland next week (I’m so excited), I thought “what better time to share another Disney Restaurant Review?” I know I’ve said this many times on the blog before but one of my favorite things about visiting the Disney Parks is the FOOD! While most people probably associate Disney with other amusement parks and think it’s all about the rides, us Disney Parks lovers know the truth. Disney is SO much more than just rides. What makes a visit to the Disney Parks so magical is the Disney atmosphere itself and that atmosphere consists of the rides, parades, shows, fireworks, shopping and of course, the FOOD! 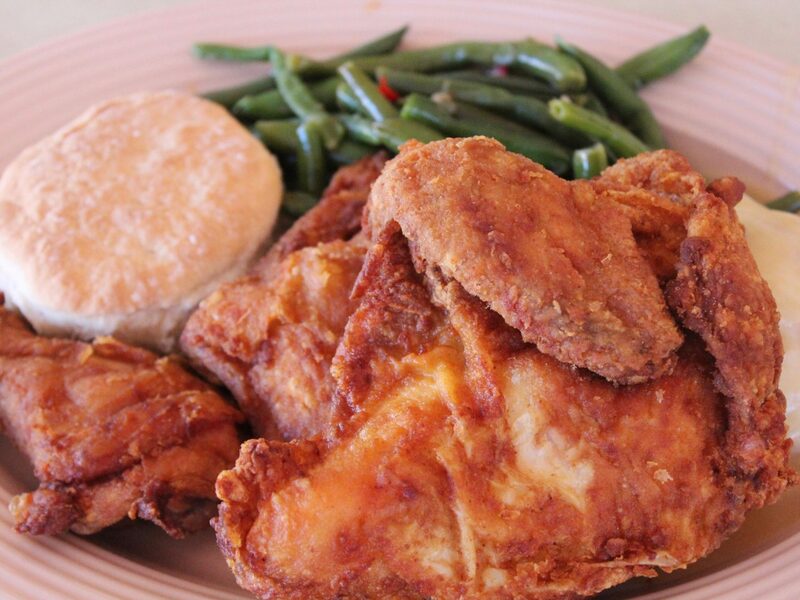 One of Disneyland’s most iconic meals is the super yummy fried chicken at the Plaza Inn on the corner of Main Street and Tomorrowland! 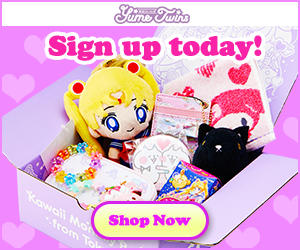 As you all know, I am a sucker for cute pink exteriors! 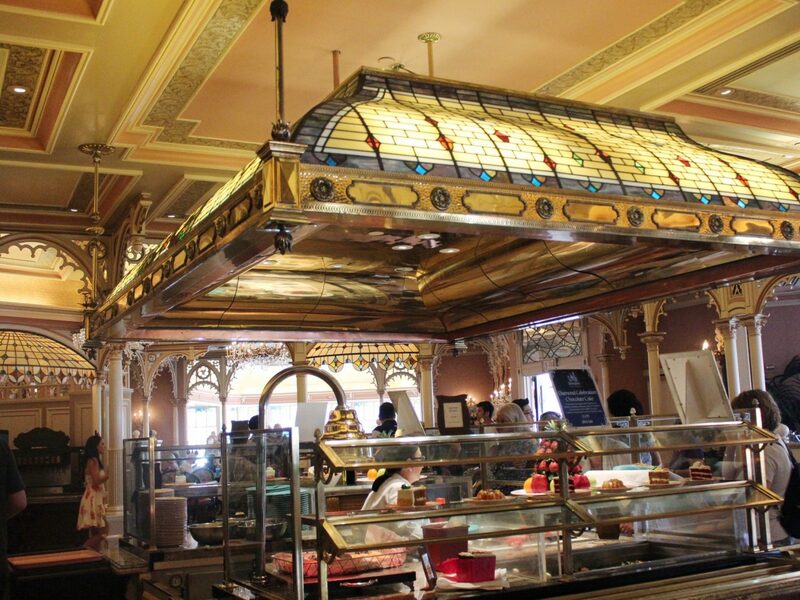 The Plaza Inn is a little different from most Disneyland restaurants because it serves as a table-service character buffet in the morning and then transforms into a counter/quick service restaurant in the afternoon and evening. 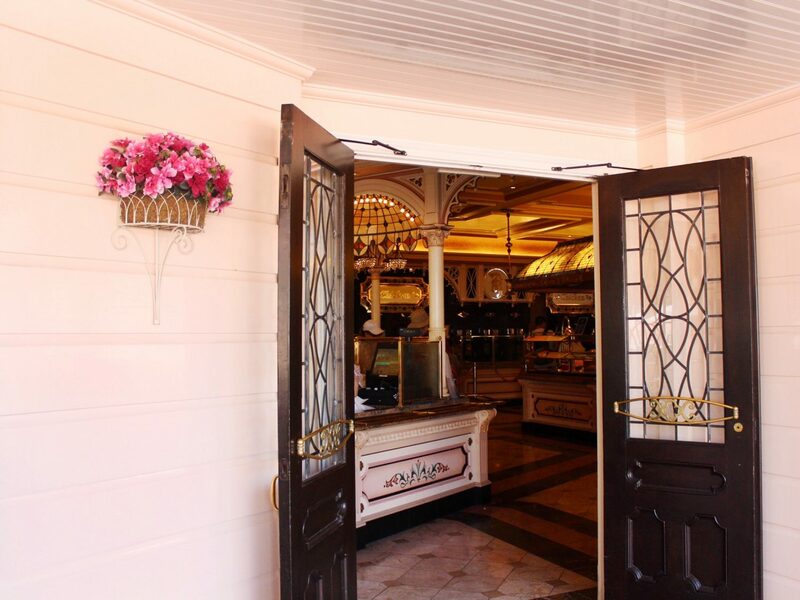 Although I’ve never experienced the “Minnie & Friends – Breakfast in the Park” Character Dining at the Plaza Inn before, I’ve heard it’s worth trying! 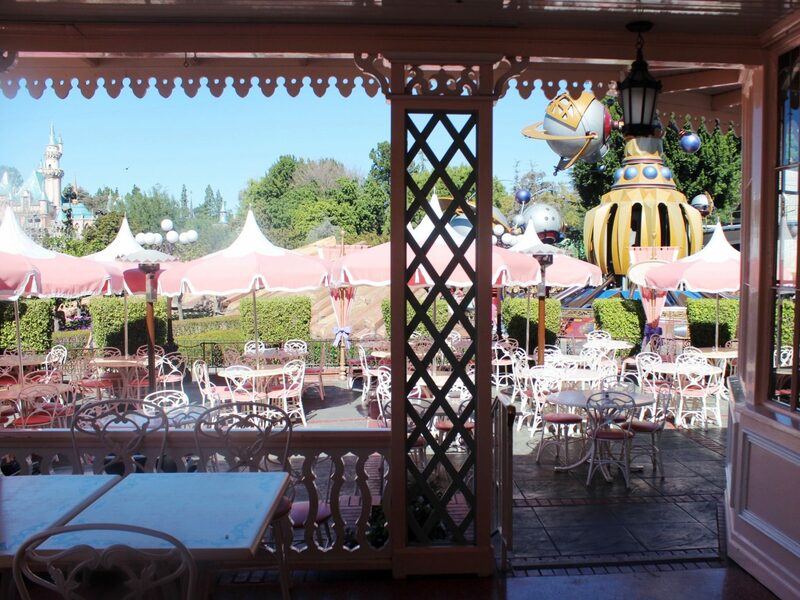 While the the victorian décor in the dinning room is lovely, I highly suggest dinning outside on the Plaza Inn patio. 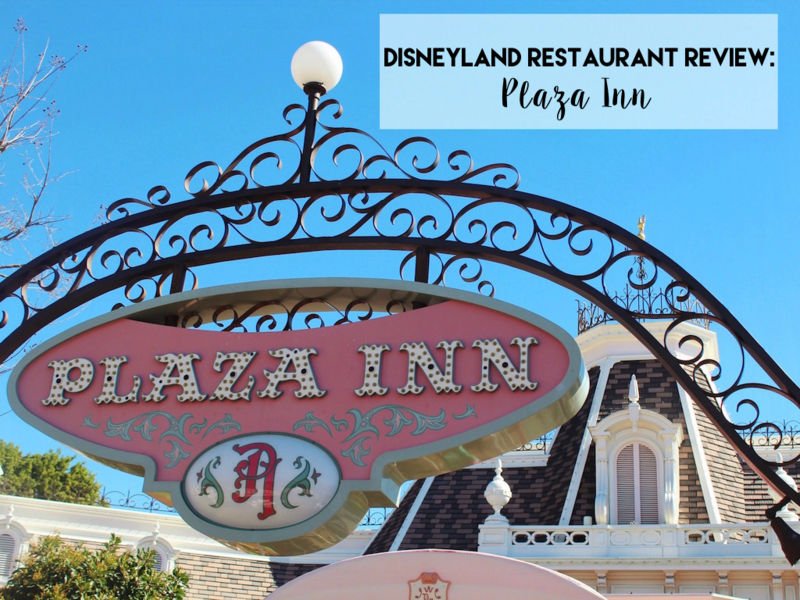 The Plaza Inn patio is a great spot for people watching or for viewing parades (and look at the gorgeous view of Sleeping Beauty Castle and Tomorrowland!). 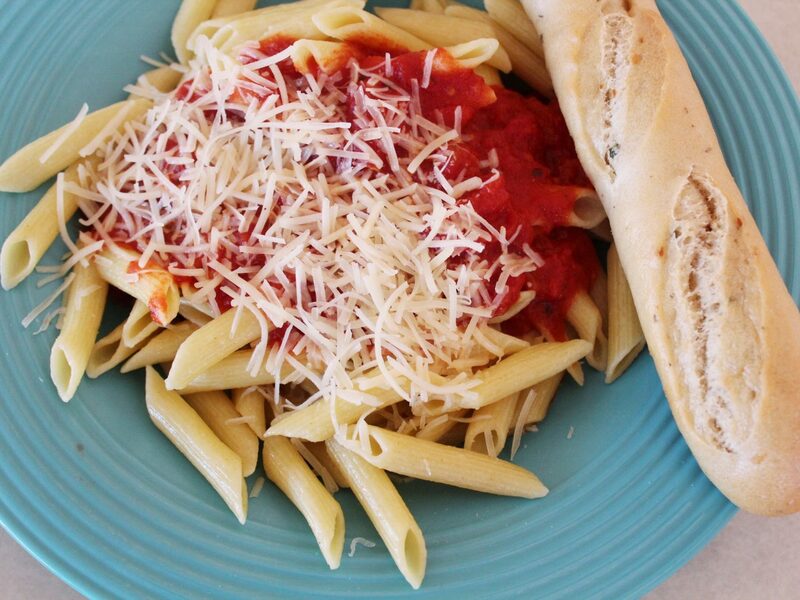 So far I’ve tried all the variations of Penne Pasta and my favorite is definitely the Penne Pasta with Marinara. 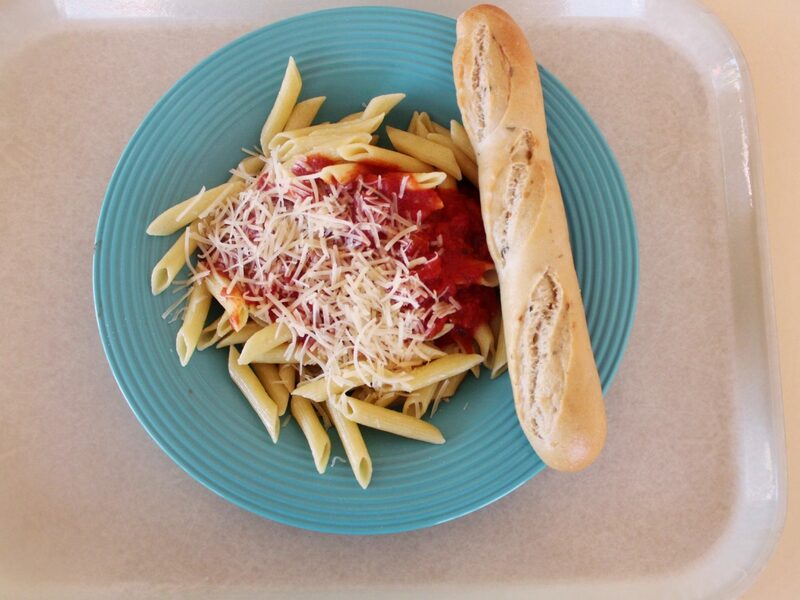 While it’s no “five star Italian Restauran pasta,” it’s pretty good as far as Disney casual dinning is concerned. 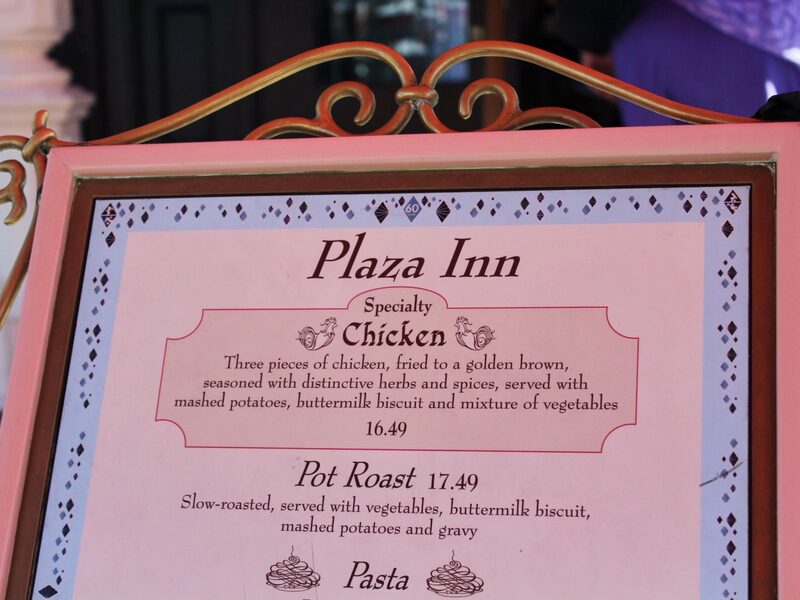 The fried chicken is without a doubt the BEST part about dinning at the Plaza Inn (I mean, who doesn’t LOVE fried chicken?). 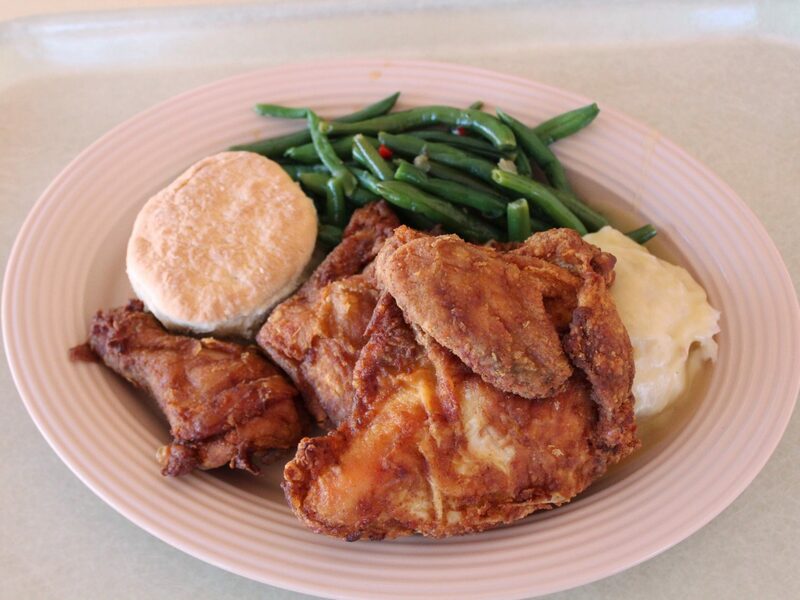 The chicken meal comes with three pieces of chicken fried to a golden brown and seasoned with distinctive Herbs and Spices and served with Mashed Potatoes, Vegetables, and a Buttermilk Biscuit (my mouth is watering just thinking about it! 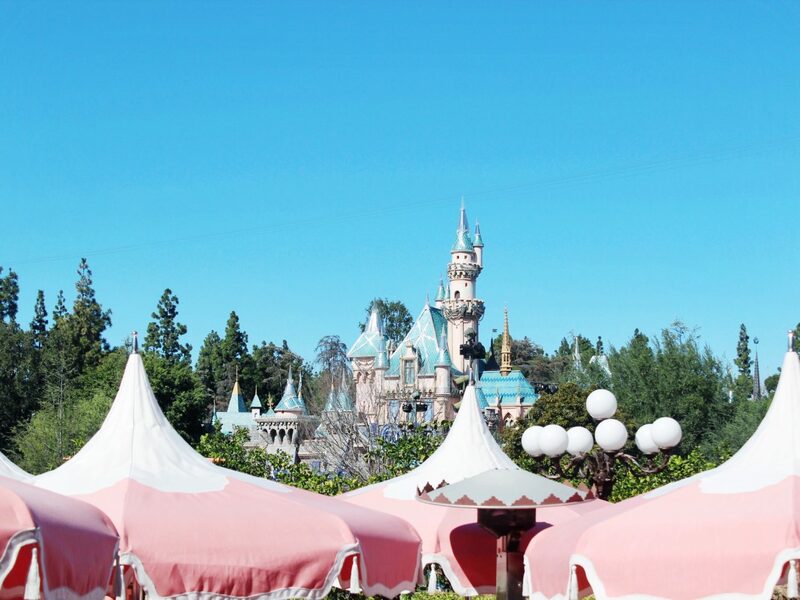 I can’t wait to swing by the Plaza Inn again while I’m at Disneyland next week). 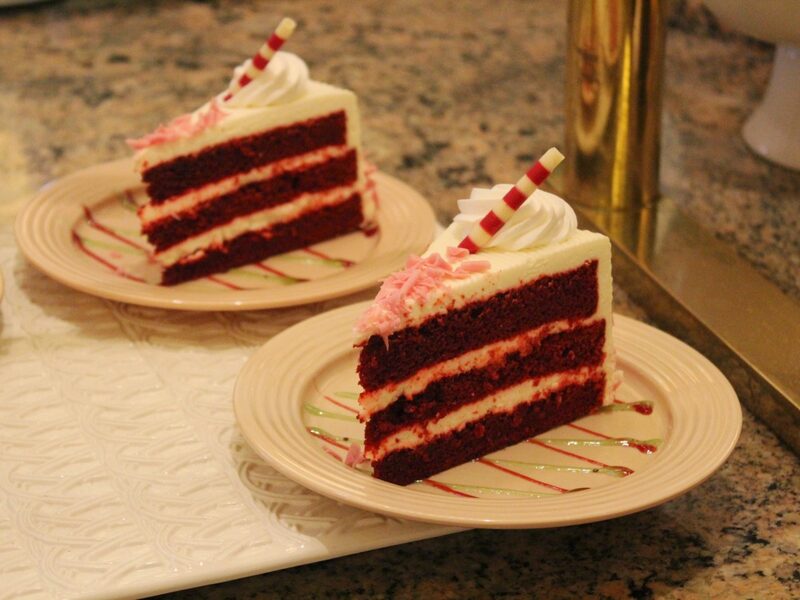 The Plaza Inn also has an assortment of delicious desserts (my personal favorite is the red velvet cake!). Back when the Disneyland 60th Anniversary Diamond Celebration was still going on the Plaza Inn had these super yummy Diamond Celebration Chocolate Cake and it was AMAZING!